Let the truth be told: a good time and high spirits are some of the essential for a great wedding celebration. In addition to the beautiful decor, delicious food and gorgeous venue, a good DJ is necessary for the fun at the party. So nothing could be more fair to pay attention to the choice of the professional who will move the wedding. We are talking about the most significant day in the life of a couple, and this moment will be remembered forever. With a good dance floor, the video looks incredible, the spontaneous photos look fantastic and the time flies! The cost of the entertainment at a wedding is relatively small; especially if we take into consideration, it impacts on the memories people will carry at the end of the night. With more than a decade of experience in making a dance floor pump, DJ NOVI knows very well what is like to have an energetic dance floor. 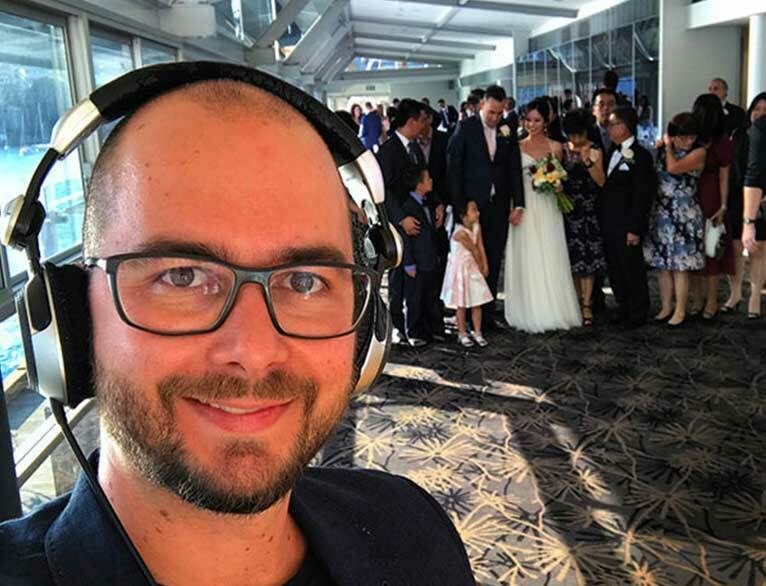 At NOVA DJs, a company specialised in DJ Hire for weddings and corporate events Sydney and Adelaide, he ensures that a lively reception is one of the highlights of the big day and that the DJ has the primary responsibility for it. However, choosing the professional who will play at the wedding is a critical moment in the planning as a bad choice can end up taking away much of the excitement of the reception. Picking your very well chosen DJ is determining if the wedding reception will leave on your guests the impression of a fantastic or a dull moment. Try to get to know more about who you are hiring. Check online reviews in different 3rd party websites, visit their Instagram and Facebook profile, talk to them and ask questions. You will get the feeling if they are a good fit for your wedding or not. Bride and groom on the dance floor are synonymous of a fun party. We know, not all couples like to smash the dance floor, but It is a fact that the guests want to be close to the bride and groom on the wedding day, so if the couple stays on the dance floor, that is where the guests will be too. For the photographer to capture those very entertaining photos of the bride and groom having a great time, the guests going mad, it is essential that the couple reserve the time to enjoy the music, to have a couple of drinks and have fun – after all the party is all for them. For the party to be complete and the best possible, it is essential that the DJ does not stay in a place hidden and isolated from guests. Ideally, it should be very close to the dancefloor, so he can feel the guests and interact with them during the night. The presence of the DJ has its influence on how people will enjoy the reception. Another equally important factor is quality equipment. It is essential to look for suppliers with good quality gear as it has a direct impact on how people will listen and feel the music. With the guarantee of an experienced DJ and high-quality equipment, enjoy the dance floor pumping the entire wedding.